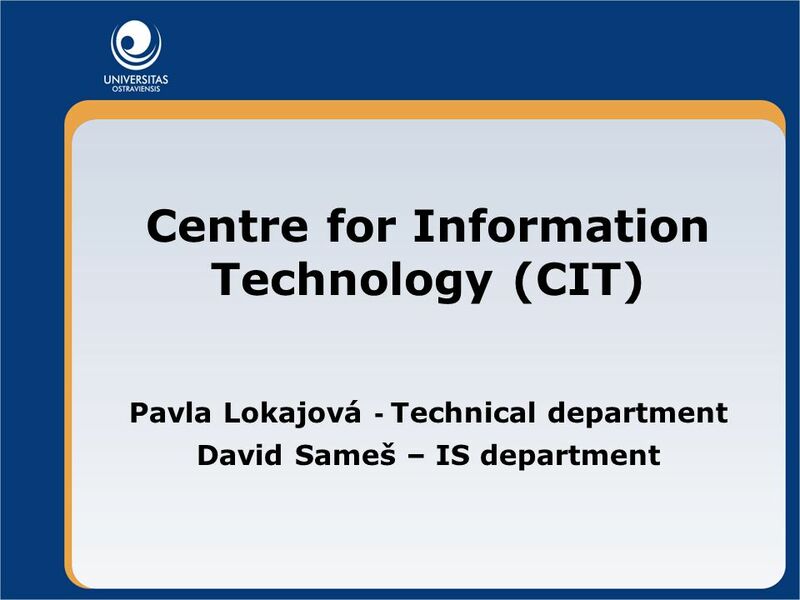 Centre for Information Technology (CIT) Pavla Lokajová - Technical department David Sameš – IS department. 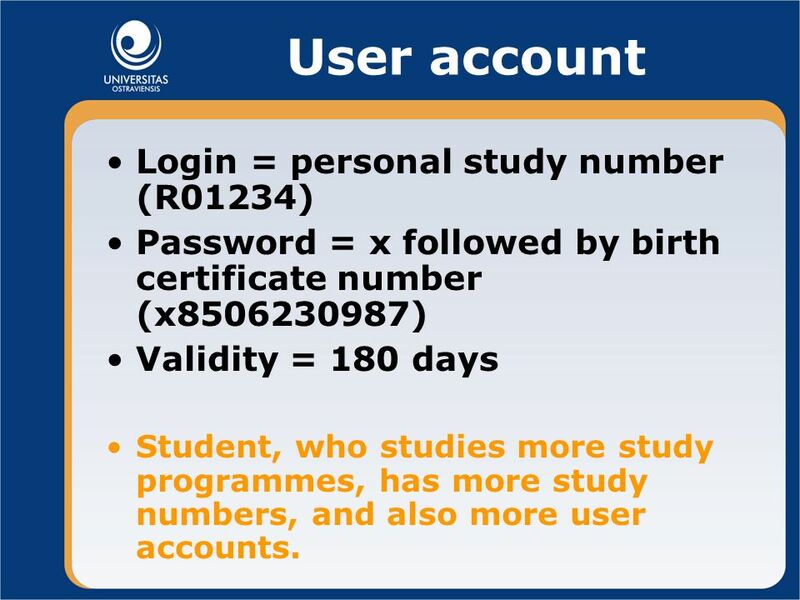 3 User account Login = personal study number (R01234) Password = x followed by birth certificate number (x8506230987) Validity = 180 days Student, who studies more study programmes, has more study numbers, and also more user accounts. 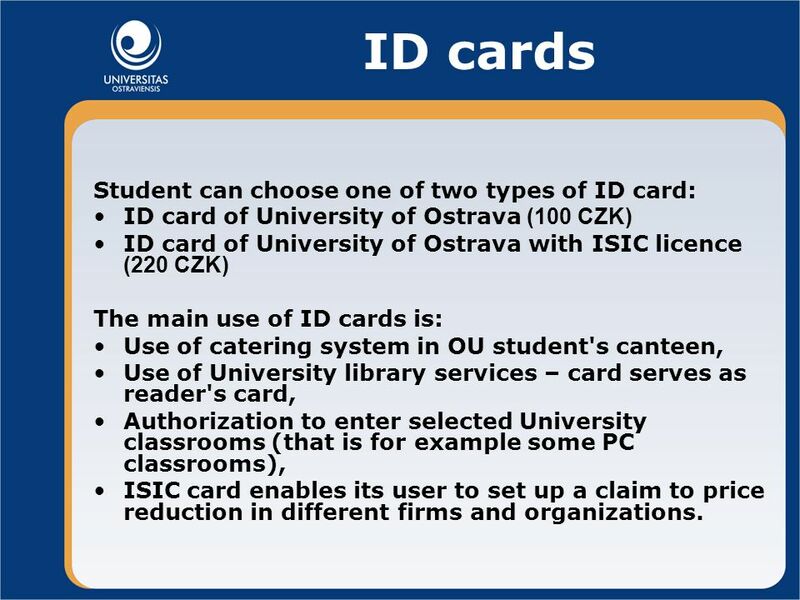 9 ID cards Student can choose one of two types of ID card: ID card of University of Ostrava (100 CZK) ID card of University of Ostrava with ISIC licence (220 CZK) The main use of ID cards is: Use of catering system in OU student's canteen, Use of University library services – card serves as reader's card, Authorization to enter selected University classrooms (that is for example some PC classrooms), ISIC card enables its user to set up a claim to price reduction in different firms and organizations. 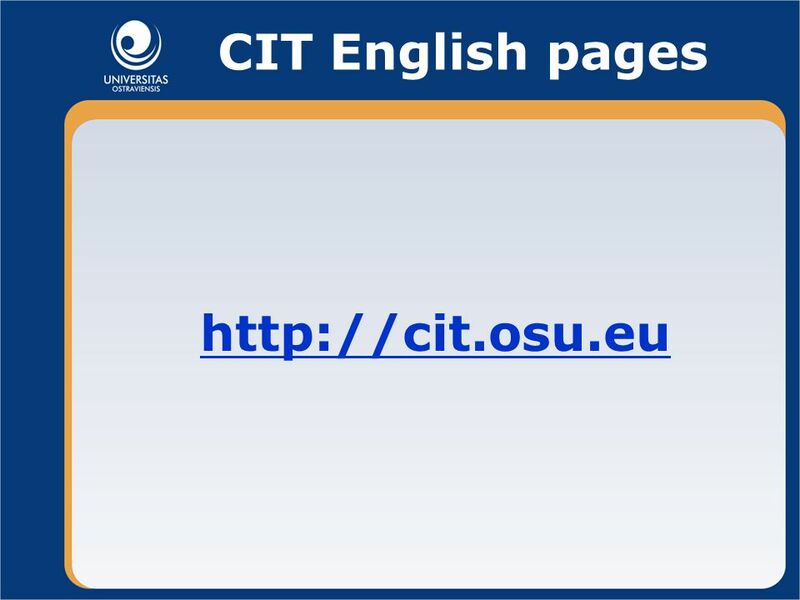 Download ppt "Centre for Information Technology (CIT) Pavla Lokajová - Technical department David Sameš – IS department." 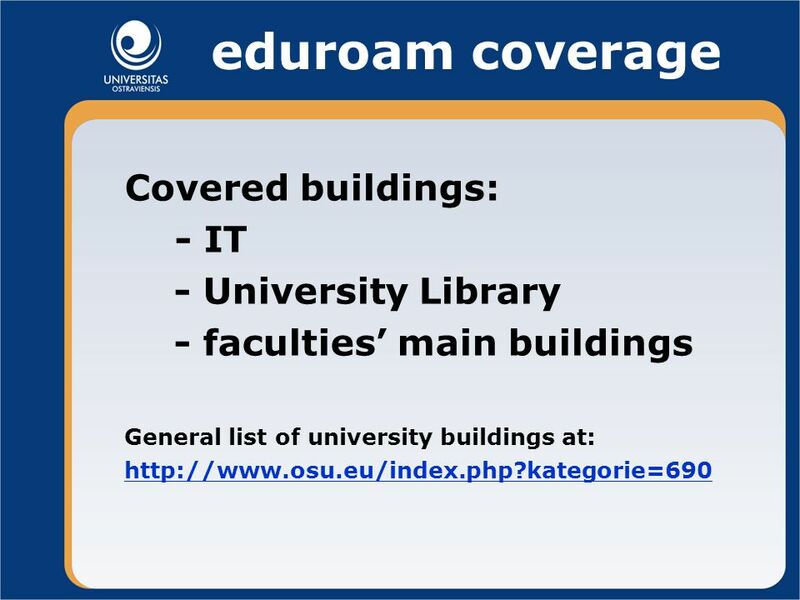 Federated Access implementation: experience of AUCA Library - Kyrgyzstan 4 th -7 th June, 2008, Aberdeen, Scotland Sania Battalova, EIFL Country and FOSS. Physics Network Integration Chris Hunter. 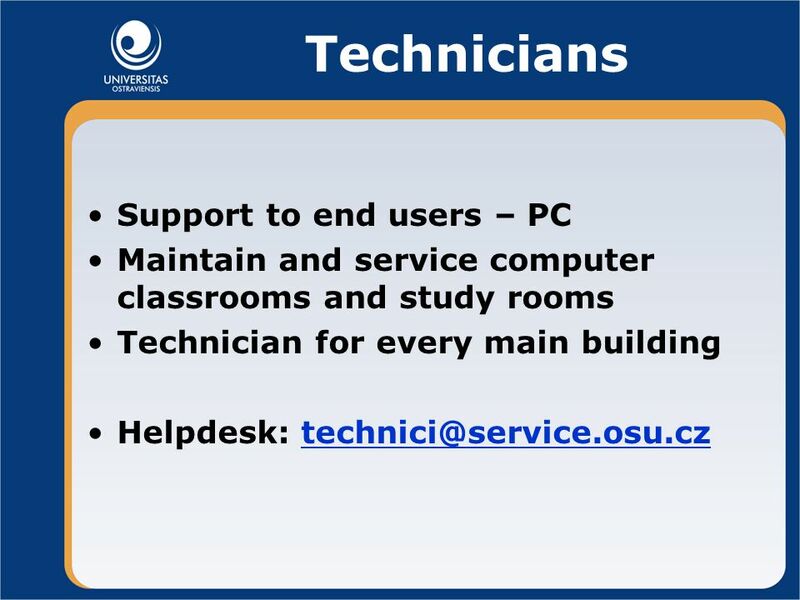 Physics network team Chris Hunter : Network Manager David Newton : Network Support Technician Room DWB 663 Phone. 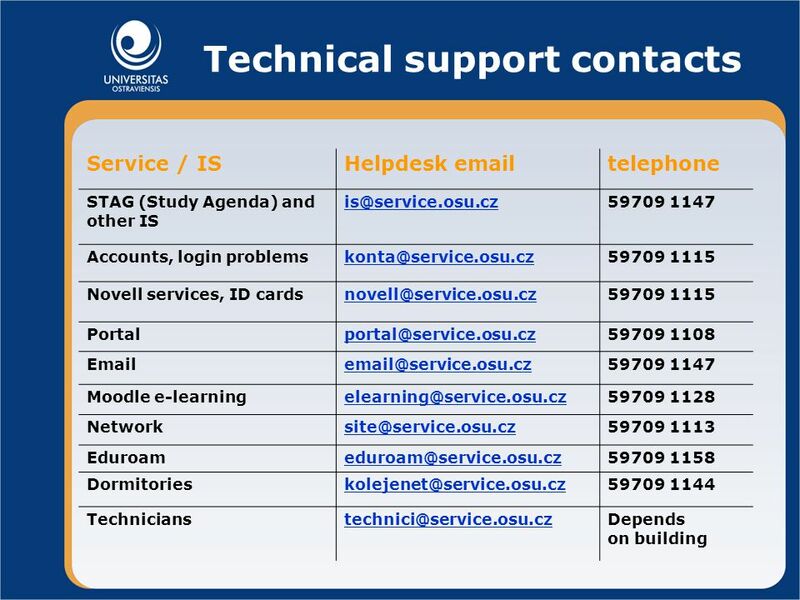 A walk through the world of Help Desk. 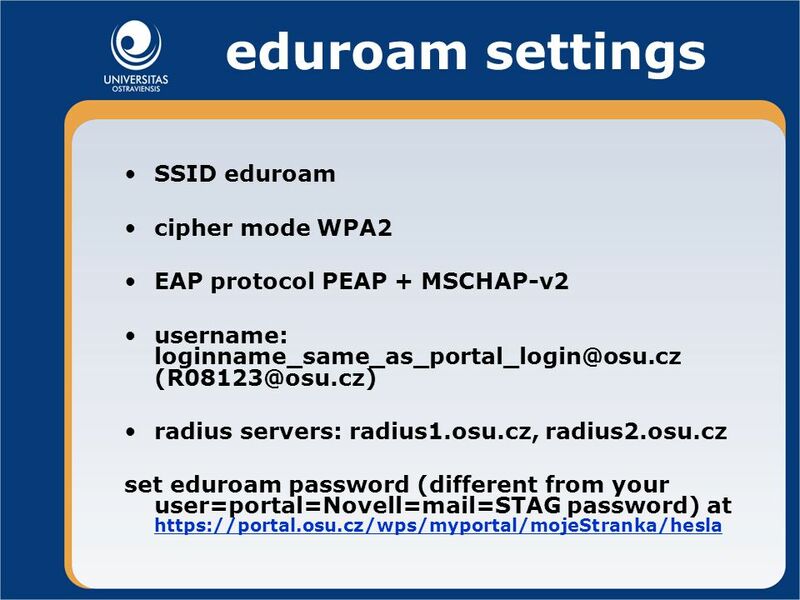 When you realize you need help with your computer, phone, or printer, and your supervisor can not help, please. 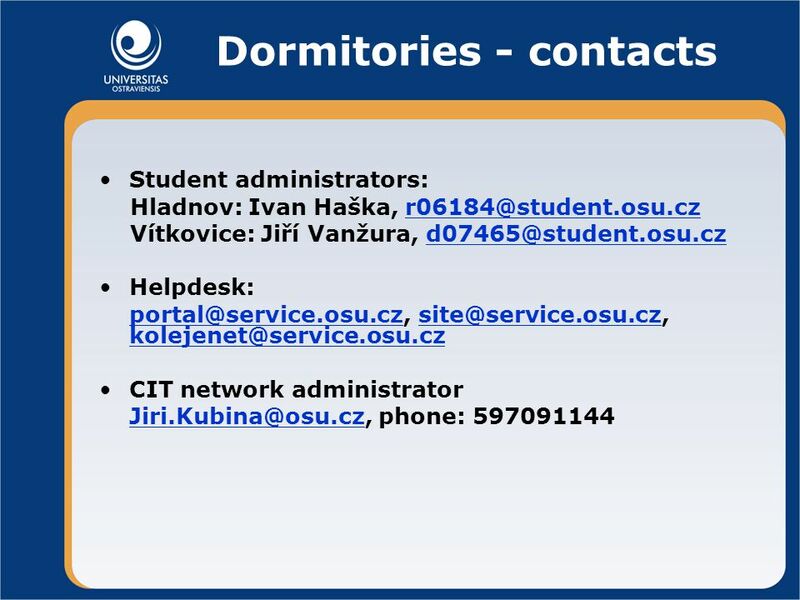 PC Client Training Customer Name © 2010 CYPRESS COMMUNICATIONS, INC. 1. 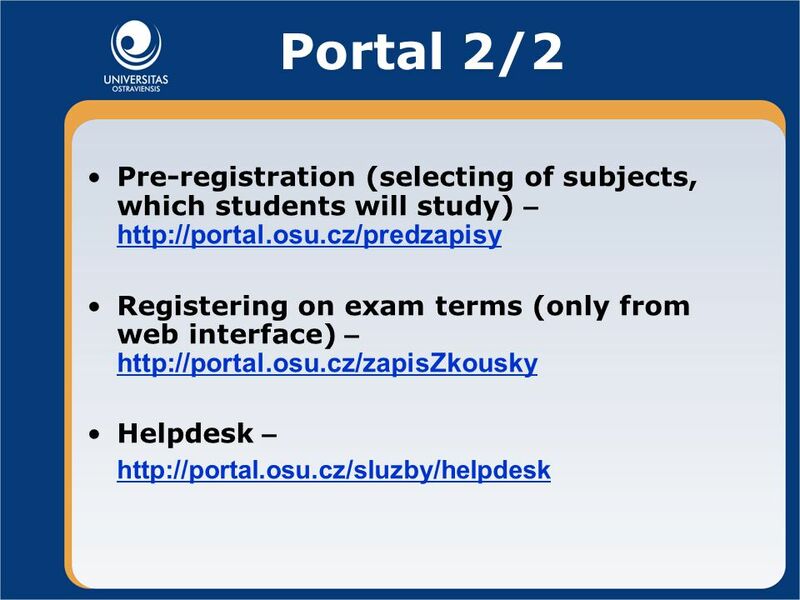 X Deployment with SU1X By Gareth Ayres. 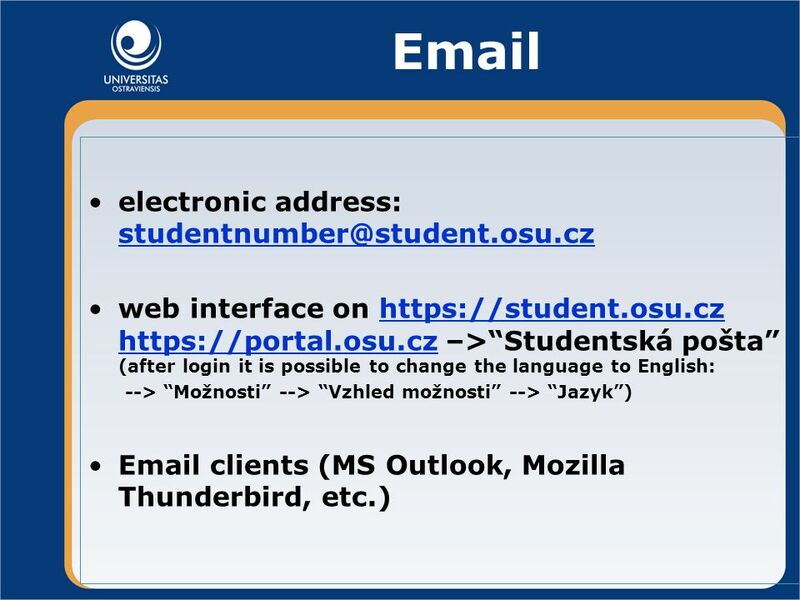 October 2003 – Tony Brett Oxford University Computing Services IT at Oxford University Oxford University Computing Services (OUCS) 13 Banbury Road Tel. 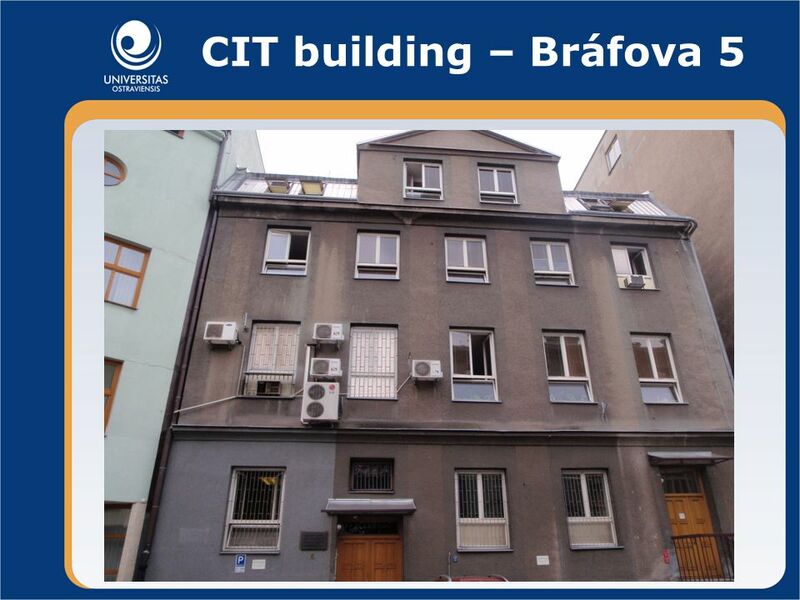 Centre for Information Technology (CIT) Pavla Lokajová Technical department. 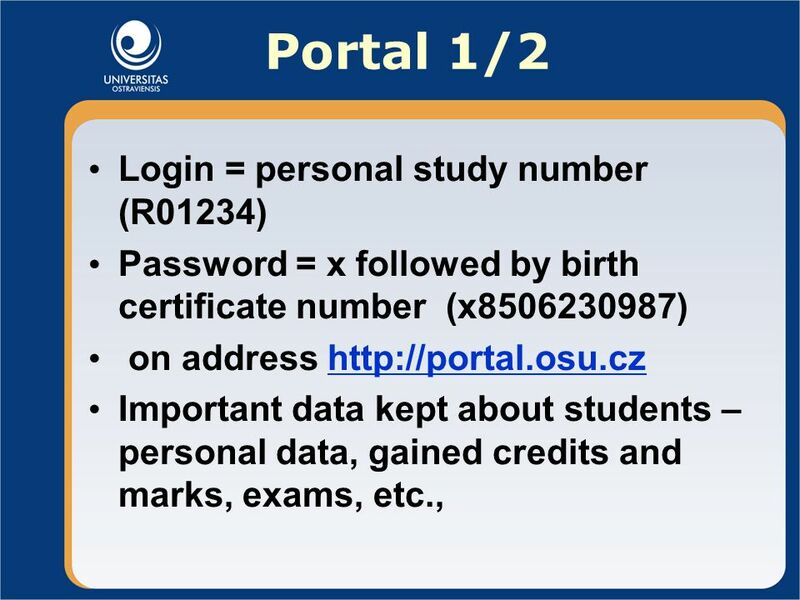 Dartmouth PKI Certificate Deployment June 2004 Fed Ed Meeting. 1 Web Servers / Deployment Alastair Dawes Original by Bhupinder Reehal. 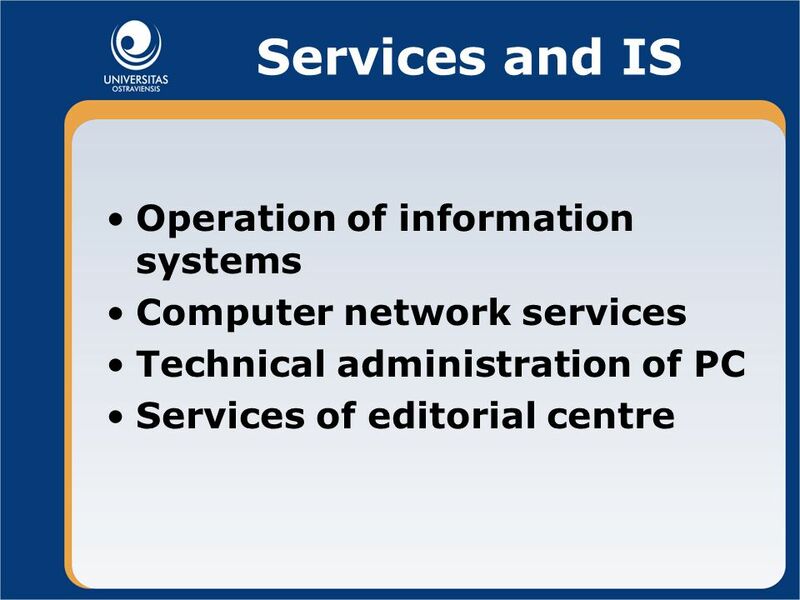 Computer networks SATISH MISHRA,PGT CS,KV TRIMULGHERRY. 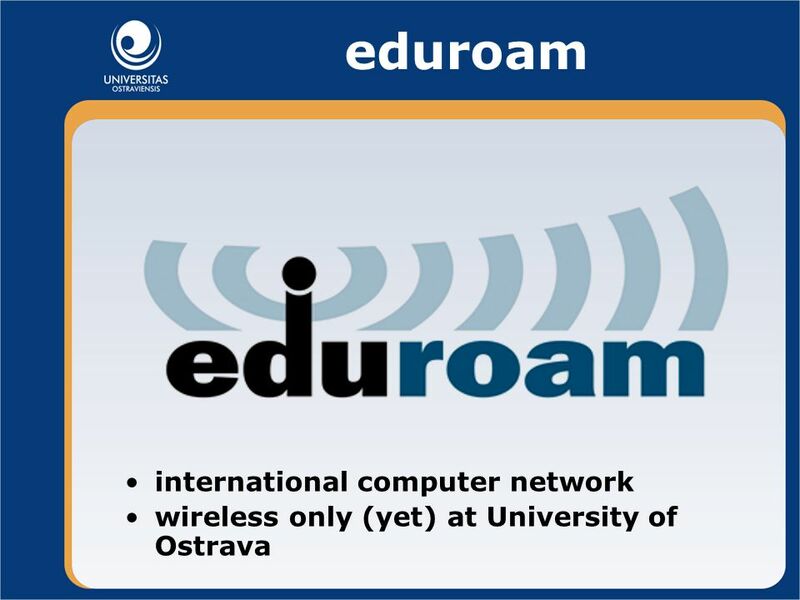 Eduroam – Roam In a Day Louis Twomey, HEAnet Limited HEAnet Conference th November, 2006. 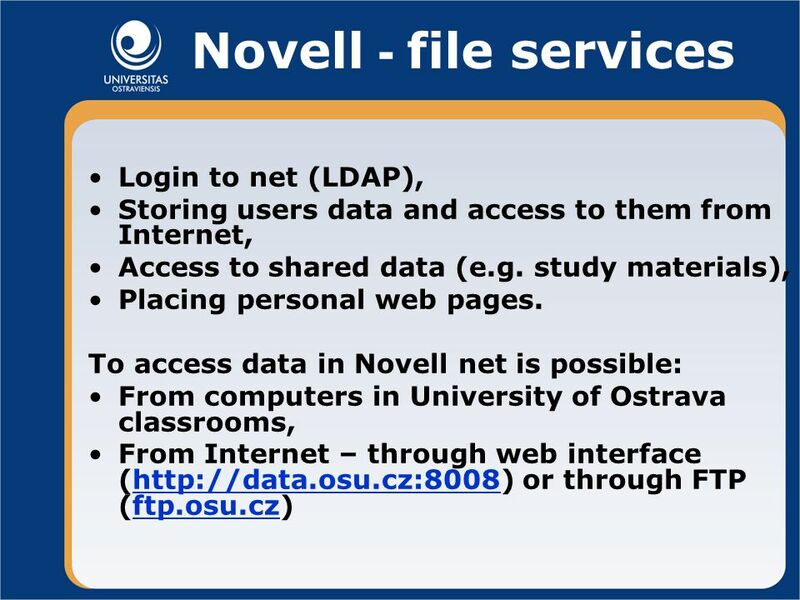 Novell from Home Net Storage. 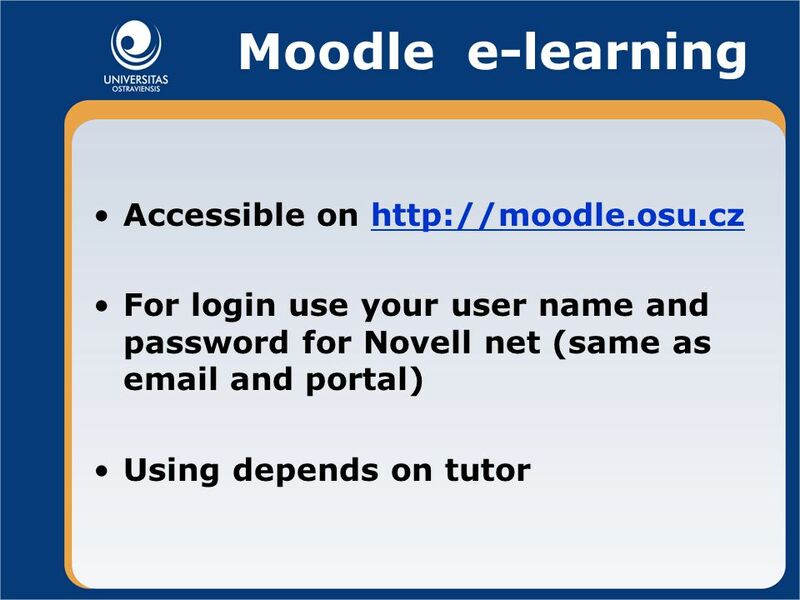 Novell access via NetStorage 1-Web Interface Connect to your shared drive through your web browser Windows, Mac or Linux.